Jammu and Kashmir Chief Minister Mehbooba Mufti on Saturday met Prime Minister Narendra Modi at his residence in Delhi to discuss the security situation in Kashmir, which is facing unrest from past fifty days after Hizbul Mujahideen commander Burhan Wani was gunned down by security forces. 68 people have lost their lives in the valley so far. 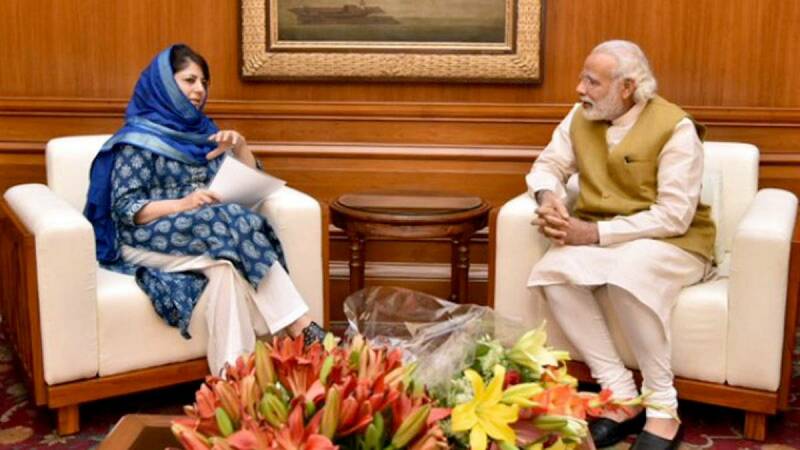 # Jammu and Kashmir Chief Minister Mehbooba Mufti met PM Narendra Modi for the first time since unrest broke out in the valley on July 8. # Give me one chance to address your concerns and aspirations, appealed Jammu and Kashmir Chief Minister Mehbooba Mufti. # She also made a note that Centre, state government and other leaders are looking forward to a peaceful solution to the problem. # Home Minister Rajnath Singh had recently paid a visit to Jammu and Kashmir to take stock of the current situation in the area.